Hey everybody! This week, Friday happens to fall on Jess’s birthday! So I’m giving the birthday girl the day off and taking over her usual task of talking about awesome Kickstarter projects. So let’s get this show on the road! Technically, first, let’s get this show on the ocean. This one’s a no-brainer for me. We’re huge fans of Fleet and Roll & Write games, so this one just makes sense. Even better, we got to do a full Kickstarter preview of it, so I’m happy to say it’s everything I hoped it would be. The gist of Fleet: The Dice Game is that you’re competing with your fellow anglers to earn the most points by launching fishing boats, getting special fishing licenses, and building up the community around the wharf. By substituting a simple dice drafting mechanism for the original’s auction mechanic, Fleet: The Dice Game manages to be both a natural successor to and also uniquely different game than its predecessor, and we think it’s a real winner. Cast a line out to Kickstarter to grab your copy of Fleet: The Dice Game! It takes a special sort of game to make me want to gnaw on the cards as much as engage the rules. Churrascaria is all about indulging in a sumptuous feast of carnivorous excess. Managing your hand means making sure that you’re eating the most valuable of the food on offer, and making sure your opponents don’t manage to mess with you too much. With art that makes the game look, well, good enough to eat, I think I’ll be more than happy to embrace the gluttonous nature of Churrascaria, despite what are clearly some very snappy take-that mechanisms. 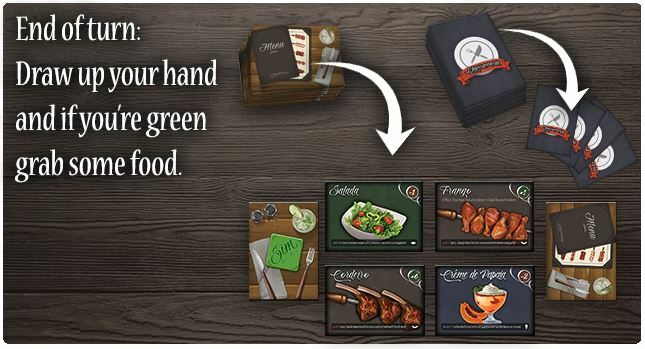 If this delectable dish of a game makes your mouth water, head on over to the Kickstarter today! We actually just got to check out the base game of Maximum Apocalypse at PAX East, and I really enjoyed it. 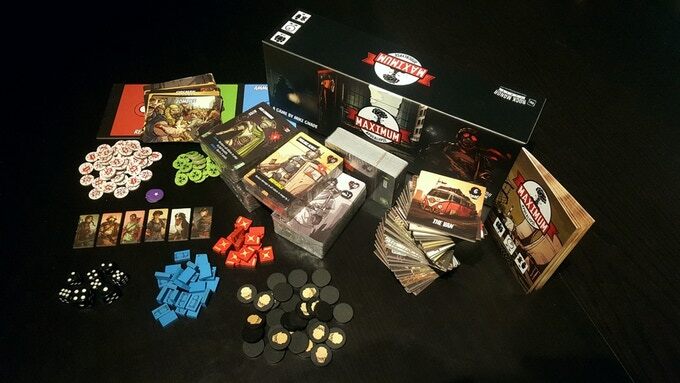 In this tough cooperative title, you and your teammates are survivors of, you guessed it, the end of the world, and you’re working hard to endure the dangers of the irradiated wasteland. You’ll gather gear, face down foes, and try to escape with your team alive, if not intact. Except with this newest expansion, we’re not talking about a nuclear apocalypse full of mutants and militants. The Gothic Horror expansion introduces a whole new end of the world scenario for you to survive, one filled with nightmarish monsters and killer cultists. And for newcomers to the Maximum Apocalypse world (like yours truly), the Kickstarter provides a great chance to jump and grab the core set as well. If being dragged screaming into the night by horrors beyond the ken of mortals is your idea of a good time (and I mean, that seems reasonable, right? ), check out the Kickstarter here! Now this is something unique. From the maker of (surprise) Tramways, Tramways Engineer’s Workbook is equal parts puzzle and game. 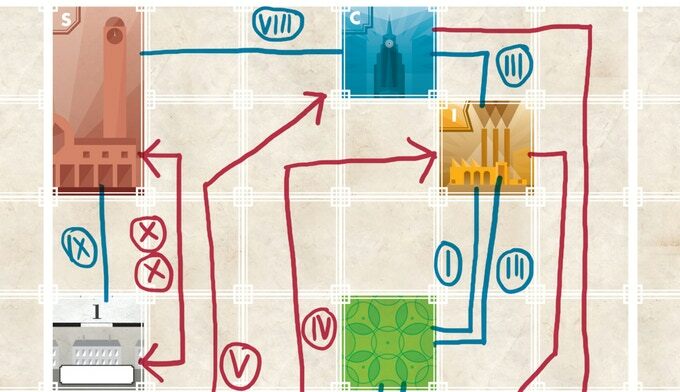 What we have here is a series of logic puzzles, where the player seeks to connect passengers between different destinations within the city, respecting the requirements of each puzzle and using a limited number of actions and turns. The format of the game is equally unique – a spiral-bound book and set of erasable pens is all you need to play, and it can either be a solitaire experience or competitively played with two. While I know this isn’t a typical example of a board game per-se, I think Tramways Engineer’s Workbook is a fascinating project and I personally can’t wait to get my hands on it and test myself against its puzzly goodness. Got a hankering to run some rails? Head on over to the Kickstarter and learn more! Ok, so let’s be honest – there are a million variants on Werewolf out there, and it takes a lot to have one stand out from the pack (hah). And at first, Growl plays to the same beats; a werewolf will be biting their way through town, trying to convert the populace of innocent villagers to snarling monsters. However, what makes this hidden role game different is that a) there’s no moderator (or app to replace the moderator), b) there’s no player elimination by vote, and c) it comes in a fuzzy pouch. 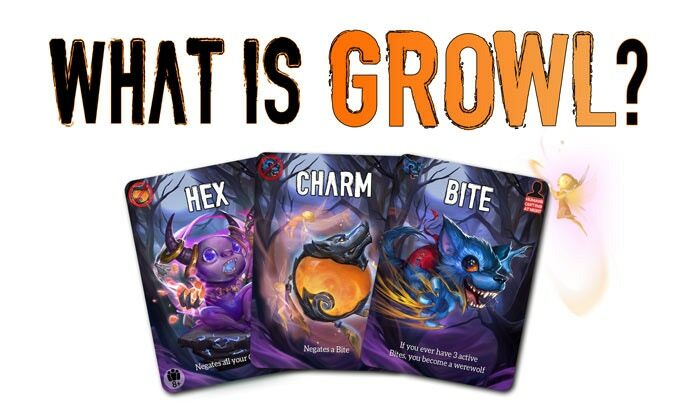 Fuzzy packaging aside, what makes Growl interesting is that this 15-minute game is actually all about public information. During the day phase, players pass each other cards openly, so everyone has some knowledge of what folks are holding onto. Then at night, players pass cards anonymously, either gaining bites from werewolves (3 of those and you’ve switched teams) or possibly wounds (3 of those and you’re out). If the werewolves can convert the entire group, they win! Otherwise it’s the humans who take it. Howling for a new game to introduce at parties? Check out Growl on Kickstarter now! And so that’s that, another week of Kickstarter awesomeness. Did we miss any? Let us know in the comments below! Next Post:Game in a Minute Ep 85: Artifacts Inc.